Abby girl goes to Pleasant Valley Library. It has been a few months since she has gotten to go there and they are in a new temporary location. The last time she was there was the afternoon before a devastating fire in the original library building. 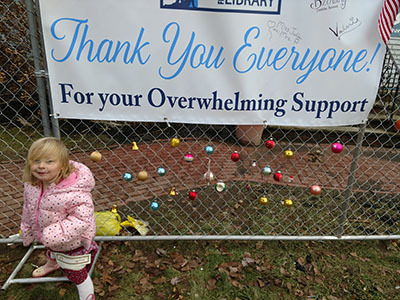 We spent the holidays doing things like decorating their chain link fence with Christmas ornaments we didn't need anymore along with other library supporters. Abby girl couldn't wait to return to this library though. Then recently, they reopened in what used to be the former grocery store while they rebuild the old library. The outside is still intact, but the damage inside tells a totally different story. When Abby first returned, she was a little lost. However, she quickly adjusted to the new place and was surrounded by familiar faces including her library teacher again.There were also familiar items rescued from the original library. She likes to just go and read through books. Sometimes, she even goes on a bear hunt, plays Dora on the Computer or completes a puzzle. They have a wonderful children's area in this large open space. A couple weeks ago, she got to start attending the preschool library program again. At this library, you must pre-register. 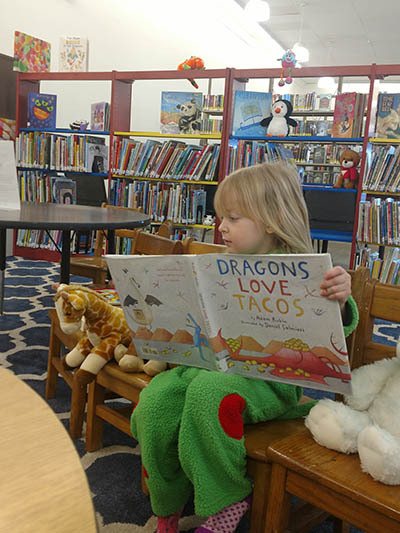 What this mom likes most about this library program is it is drop and take a child break. I sit and chat with other mom's. They read stories and do a craft in a secure room in the back. They also have Katy the dinosaur. She's on You tube. Just go to the link! There are several more of her too on their You Tube page. RELATED: More libraries that families love! The library also has lots of programs and events going on and an art exhibit that is rotating local artists throughout the year. Recently, they worked on painting kindness rocks for their kindness project they have. I'm excited for a photography workshop and yoga! Abby girl and stay home with dad! Mom's need mom time too! This weekend was the huge library book sale. Abby was there and bought ten more books. She also gave her business card to a couple of the workers. Always something to do and explore at the Pleasant Valley Library! 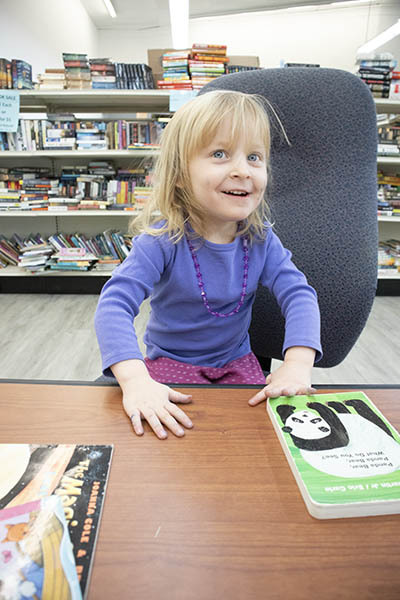 Abby girl is super happy to have the Pleasant Valley library back in full swing again. Adventures of Abby Girl is all the awesome things my daughter and I experience in the Hudson Valley and beyond completely as it is. You can read more blogs about Adventures of Abby Girl here. Also feel free to follow on Instagram and Facebook or watch videos of all things Abby Girl and Momlife on Youtube. When I'm not writing my blog or shooting crazy videos, I own a local pet photography business in the Hudson Valley-Erica Higgs Photography. Questions, comments or want us to visit and do a write-up about your destination? Media kits available. Contact us! 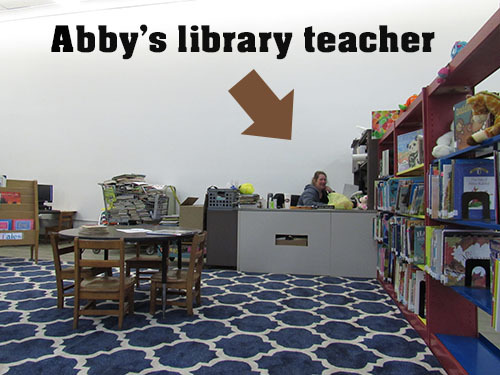 So happy to see that Abby is back to her library. It means so much to all of us that Abby decorated our fence and came to our book sale and visits Miss Julie. I am so happy Abby comes for the programs Miss Julie now has started for kids, Miss Julie is the best! Bring all your friends Abby Girl!